John Franklin, 82, Wahpeton, North Dakota died on Monday, August 12, 2013 at the St. Francis Medical Center, Breckenridge, Minnesota. The Funeral Mass will be held on Thursday August 22, 2013 at 10:30 A.M. at St. John's Catholic Church in Wahpeton with Rev. Dale Lagodinski as celebrant. There will be visitation at the church Thursday morning from 9:30-10:30 A.M. Interment will be at Calvary Cemetery, Grand Forks, ND. John Ryan Franklin was born on February 25, 1931 in Minot, N.D. to Harold and Mary Louise (Ryan) Franklin. He grew up in Bismarck, N.D. In 1983 he moved to Wahpeton to join the Red River Human Services family. In his younger years he actively participated in Special Olympics. 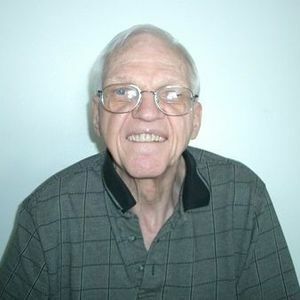 He avidly watched the Minnesota Vikings, Twins and Western movies on television and enjoyed all his family time with his nephews. He was very inquisitive and was the "reporter of current events" in his group home. He is survived by a brother-in-law, Ron Engel, Maple Grove, MN, nephews; Mike (Lori) Engel, Harris, MN and Tim (Betsy) Engel, Otsego, MN, 4 great nephews and 1 great niece. He was preceded in death by his parents and his loving sister, Mary Lu Engel.